Dubai, 6 November 2018: As the weather cools down, get ready to make the most of breezy mornings and chilled evenings at Golden Mile Galleria on Palm Jumeirah, which has recently expanded its line-up of shops, cafes, restaurants, health facilities and fitness studios. The destination boasts over 400,000 sq ft of retail space, located beneath the 10-building Golden Mile residential complex, adjacent to Al Ittihad Park. 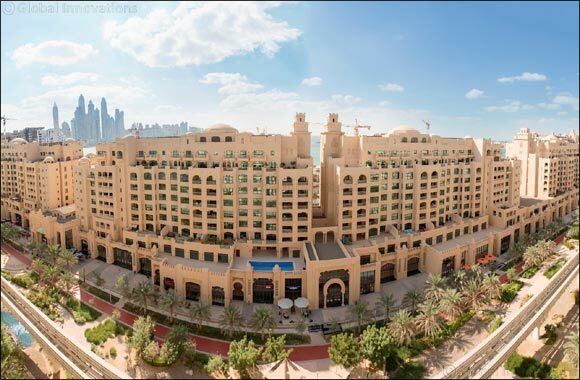 The location is popular among Palm Jumeirah residents and is perfect for visitors looking for a relaxed shopping and dining experience. Discover new dining, pampering, wellbeing and relaxation experiences with Golden Mile Galleria’s latest offerings. Sit back and enjoy a cup of fine coffee at Mokha 1450 Coffee Lounge while you discover the heritage of the fine beverage, or grab some delicious Arabic fare at old favourite Zatar w Zeit. You can also stop at Organic Foods and Caf� for fresh produce. Let a team of professionals at Anatomy Rehab use a combination of techniques to enhance your health and wellbeing. The studio uses physiotherapy, osteopathy and nutrition to improve wellbeing, and offers special services to boost women’s health. Looking to redecorate your home? Head to Kashmiri carpet specialist SandRose, and pick the perfect handmade carpet to complement your furniture. Take care of those pearly white teeth and book an appointment at Dr. Joy Dentist or Confident Dental Clinic. Emirates Hospital also offers consultation with a range of specialists for your health-related needs. Treat yourself to a manicure at N-Bar, Jazz Lounge male grooming service or 1847 where you can choose from a variety of trendy nail designs. Let skilled staff pamper you with the latest nail art to match your outfit for a fun night out.